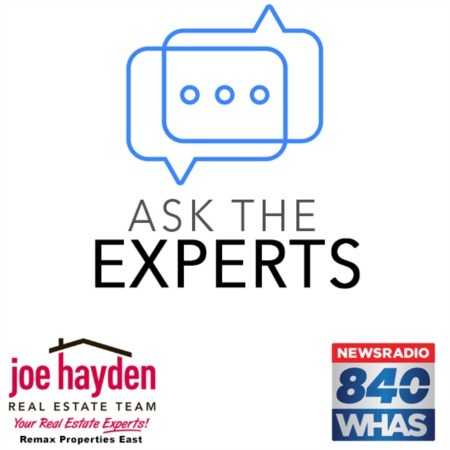 1711 Harvard Drive Louisville, KY 40205 | Home for Sale | MLS #1396060 | Joe Hayden Real Estate Team - Your Real Estate Experts! Welcome to 1711 Harvard Drive in the beautiful and historic Belknap neighborhood in the Highlands. This classic Craftsman Bungalow showcases the warmth of desirable architectural features alongside wonderful modern updates. This home offers exceptional curb appeal with its handsomely landscaped tiered yard highlighted with mature trees and plants. There is a fantastic porch across the front of the home which is the perfect place to relax with friends and neighbors. 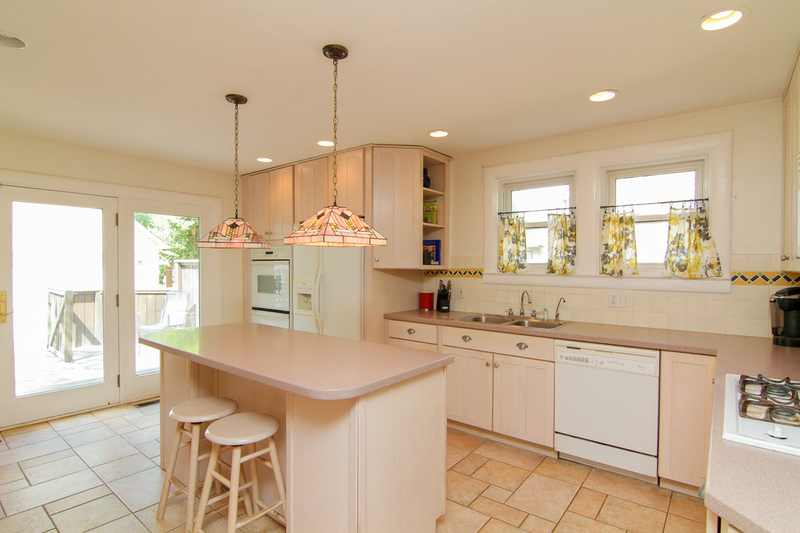 Once you step inside the home, you will be impressed by the open, updated space and gorgeous refinished oak flooring. 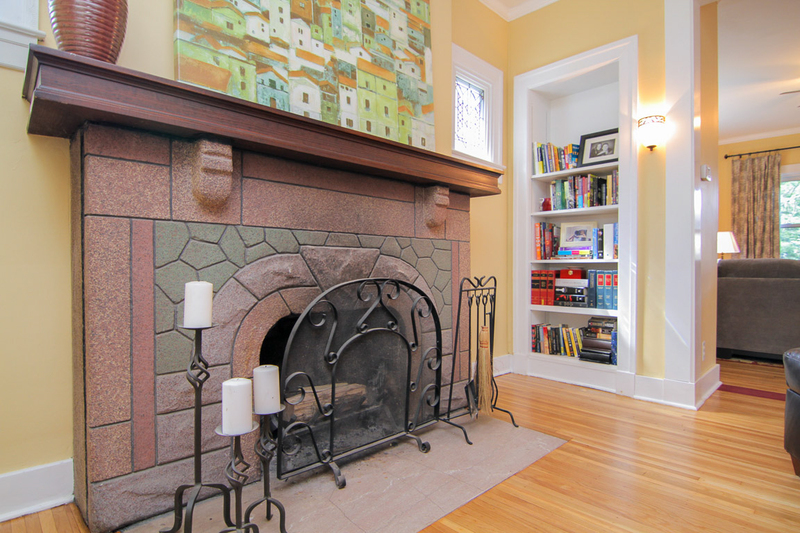 The living room greets you with its delightful wood burning fireplace that features original arts and crafts tiling and is flanked by 2 beautiful stained glass windows, plus a built-in bookcase. The dining area also features a great stained glass window in the style of Frank Lloyd Wright adding even more natural light, which is abundant throughout the home! The living room is open to the spacious family room and kitchen that boasts plenty of updated cabinetry, a center island and tiled flooring. From the kitchen, step out onto a two tiered deck - the perfect spot for alfresco dining and entertaining. 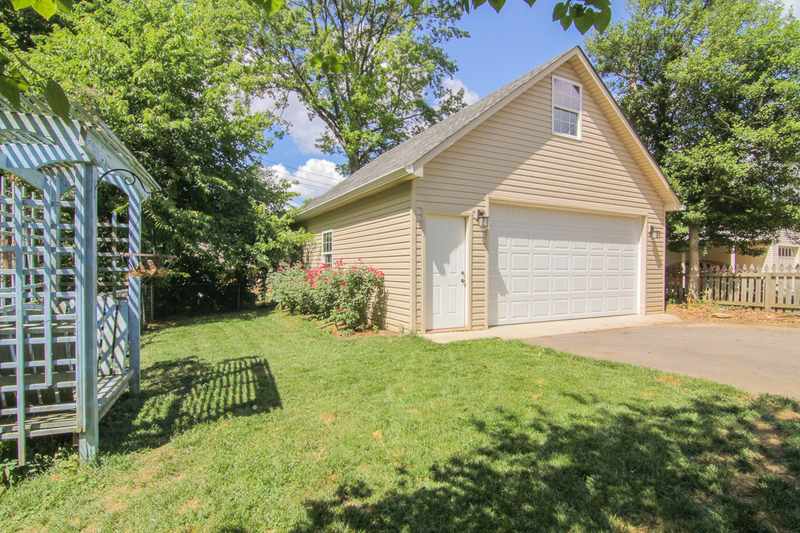 In addition to the large, fully-fenced backyard there is a generous 2.5 car garage that is only about 3 years old. The garage also has a second level that could be finished out as an artist studio or utilized as additional storage space. 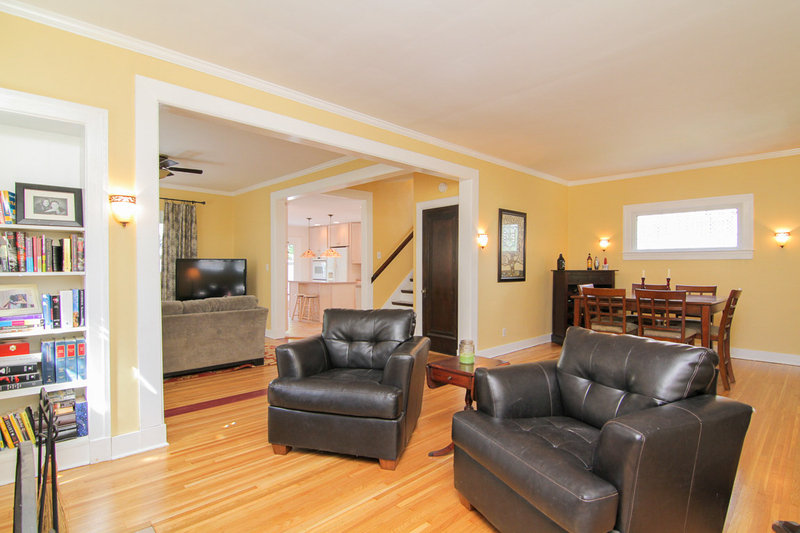 The home's stunning oak floors continue upstairs to three spacious bedrooms. The master bedroom has two walk-in closets and features picturesque views of the lovely backyard. The bath is nicely appointed with tiled floors and updated fixtures. Downstairs, there is a laundry room, exercise room and plenty of additional storage. The roof was replaced in 2012 with 3 dimensional, 25-year shingles and the hot water heater was replaced in March of 2014. There are Gilkey replacement windows throughout. 1711 Harvard Drive is close to all of the great independent restaurants, shops and night-life that makes the Highlands special. 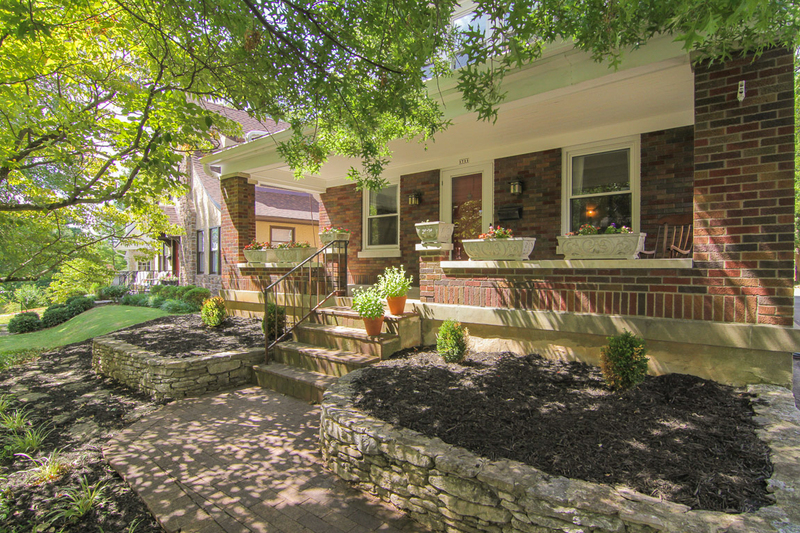 It's also close to schools, major universities, great parks, and downtown Louisville with easy expressway access. Don't let this one get away, call today for your private showing!